Although no teams remain undefeated in the A-10, a few have managed to pick up quality wins. Dayton, in particular, grabbed arguably the conference’s best win of the season so far as the Flyers took down Butler in Atlantis last Wednesday. While they dropped the following games to No. 4 Virginia and Oklahoma, Dayton played them toe to toe and looked very competitive. A win this Friday over top 25 ranked Mississippi State would go a long way in helping the Flyers reach the NCAA tournament. Along with Dayton, Saint Louis and VCU also have a couple nice wins. The Billikens defeated Seton Hall on the road while VCU downed Temple on a neutral site. While Davidson and Duquesne both only have one loss, neither team has picked up a high quality win at this point of the season. Davidson’s main opportunities for non-conference quality wins will come in December as the Wildcats travel to Wake Forest and North Carolina. Duquesne, on the other hand, really does not have any big win opportunities remaining. They do play Pittsburgh and Penn State, but I’m not sure a win in either of these games would be highly regarded. If the Dukes want to make the NCAA tournament this year they need to win at least one of those two and focus on avoiding bad losses. First lets address the obvious elephant in the room with this group: the Fordham Rams. Yes the Rams are off to a surprising 5-1 start, but they are yet to play a relatively decent team. I can’t imagine Fordham having the talent this year to hang with the likes of Saint Louis, Davidson, Dayton, and others in the A-10. That said, lets hope the Rams can keep their streak rolling a while longer. The best team they face in the non-conference is Rutgers, so Fordham might actually enter A-10 play with a good record (even if it is devoid of any quality wins). At times Saint Joseph’s has looked like one of the most talented teams in the A-10 this year. Unfortunately, however, they have slightly underachieved and are riding a three game losing streak. After dominating Wake Forest, St. Joe’s dropped back to back games against very good UCF and West Virginia teams. While those losses won’t hurt too much, their latest defeat will. The Hawks blew a 20 point second half lead in a loss to William and Mary on Saturday. Nevertheless, Saint Joseph’s has opportunities left to make up for the loss. They still face Temple, Loyola Chicago, and will travel to Villanova. If the Hawks want to make the NCAA tournament this year they need to get back on track and grab some quality wins. When it comes to UMass and Rhode Island, these are two teams who have started their seasons on a roller coaster of up and downs. UMass dropped two straight games to Harvard and Howard before bouncing back with a couple of blowout wins. Most recently, the Minutemen dropped a battle against No. 6 Nevada. Despite the loss, UMass looked good against one of the nation’s top teams. With road games at Providence, Temple, and Georgia remaining, the Minutemen need to go out and pick up some solid wins. Rhode Island, on the other hand, lost its most recent contest to Stony Brook. The Rams need to bounce back against Brown and could really use a win over Providence on Saturday if they want to keep their NCAA tournament hopes alive. Arguably the biggest surprise of the season so far has been George Mason; and not in a good way. 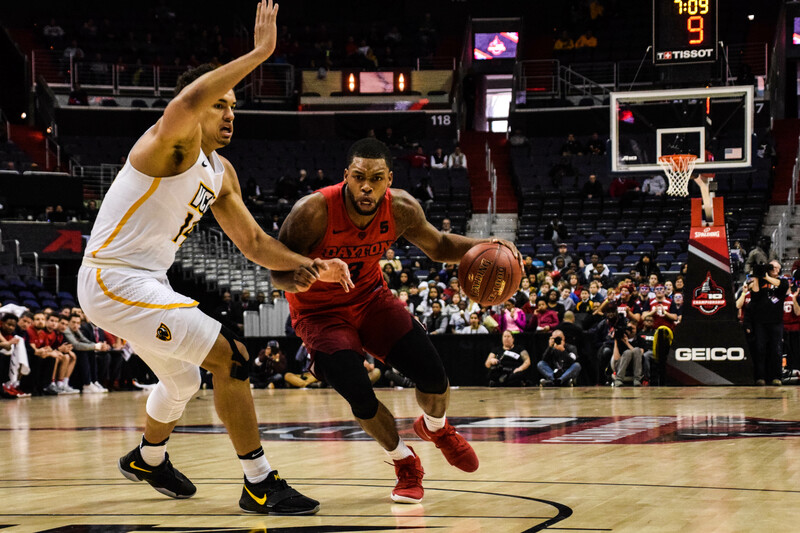 Expected to compete for an A-10 title and NCAA tournament at-large berth, the Patriots have substantially underperformed. If George Mason wants to hold onto any glimmer of hope to make the tournament, they must run the rest of the table in non-conference play. That would include a road win over top 15 Kansas Sate. If the Patriots drop even one more contest before the end of December, you can stick a fork in their at-large chances entering conference play. The bottom of the A-10 is horrifyingly horrendous this year. Richmond just lost by 20 to Hampton, La Salle has not won a single game, and George Washington and St. Bonaventure are a brutal 1-5. Better luck next year, guys.